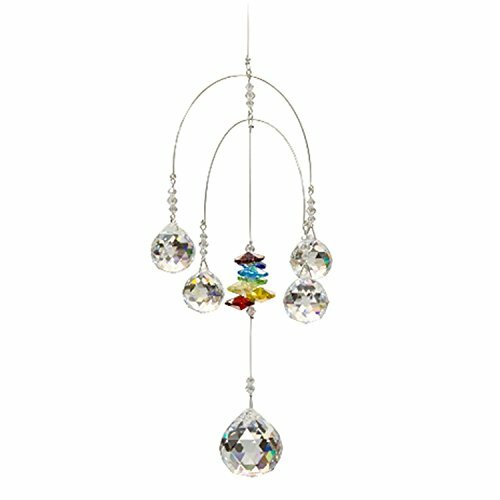 Gorgeous 40 mm Crystal Ball shining and shimmering, lost of beautiful bright facets. It is topped with a glimmering cluster of ten 14 mm crystal octagons throwing beautiful rainbows!!! Beautiful and sparkling. Creates lovely light refraction all round the room.